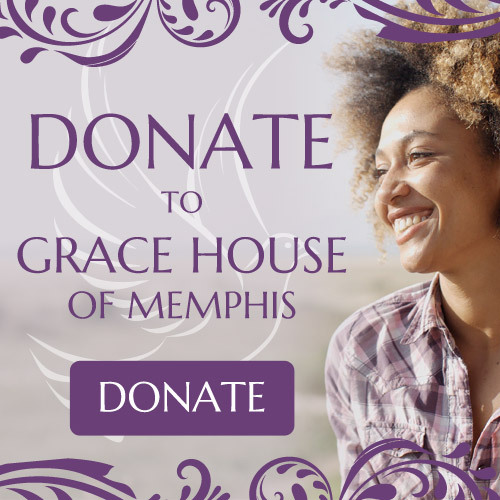 Grace House of Memphis has a long held reputation for providing quality, comprehensive services that address the problem of alcohol and drug abuse in women. We also provide treatment and recovery support services to women with co-occurring mental disorders. Additionally, we are now offering treatment and support for women with alcohol, drug, co-occurring disorders, who are coming from the criminal justice system through various drug courts. During this past year, 30% of the women that we treated came to us through a criminal justice referral. Admission is available to women age 18 and over, whose life has been negatively impacted by the use of alcohol and/or drugs and sometimes further complicated by mental health disorders and/or criminogenic thinking and behavior, and who have no severe medical complications. Grace House’s long term residential and outpatient treatment program offers gender specific treatment designed exclusively to address women’s issues. We provide a wide array of individual and group interventions that are based on widely accepted evidence based practices. We provide many recovery support groups and classes that are designed to improve recovery support and life skills in order to improve a woman’s overall life functioning. The services that Grace House provides are intended to return a woman to an acceptable level of spiritual, physical, emotional, social and occupational functioning, thereby assisting her to begin the lifelong process of recovery. We do this by offering a safe “home-like” environment for residential treatment and by using evidence based interventions. Treatment activities are held during week day and evening hours. Our facilities are monitored 24 hours a day to maintain the safety of the environment. Grace House has expanded its continuum of care to include Intensive Outpatient Therapy (IOP). This program offers treatment services to women who need a less intense level of care, or to women who are clients of collaborating agencies that are providing them with housing and some other services that are not in our scope of practice. IOP treatment services are provided 3 hours a day, 3 days a week, along with scheduled individual sessions. Grace House is licensed and partially funded by the Tennessee Department of Mental Health and Substance Abuse Services. Grace House is a member agency of United Way of the Mid-South, and through them, receives the generous support of many friends in the community. Since we believe that treatment is intended to return each woman to an acceptable level of physical, emotional, spiritual, social and occupational functioning, an individual treatment plan is developed based on her strengths, weaknesses and goals to guide her treatment process and addressing her individual needs. Case management and referral services are provided to connect each woman to vital community resources that further move her toward a happier, healthier, self-sufficient life.